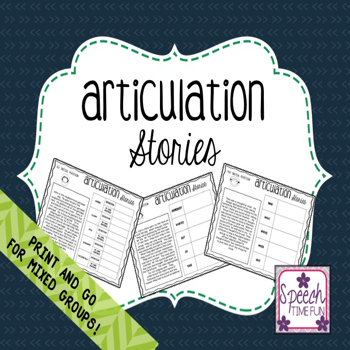 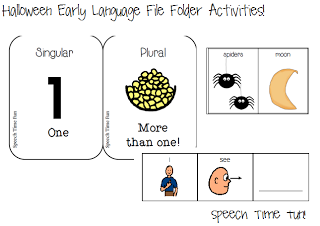 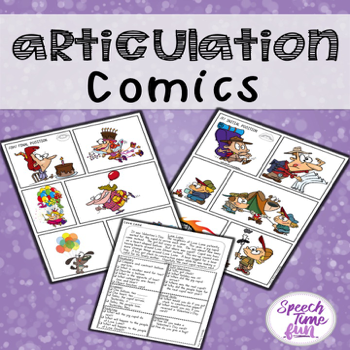 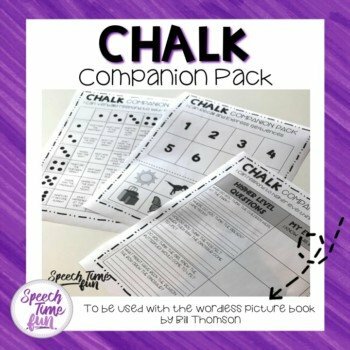 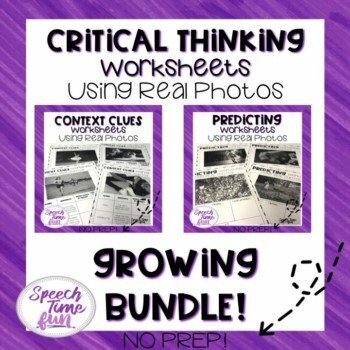 Have you been loving my file folder activities to work on early language skills?! 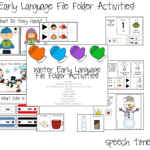 Those that have already purchased my Back To School & Fall File Folder activities have left feedback requesting more. 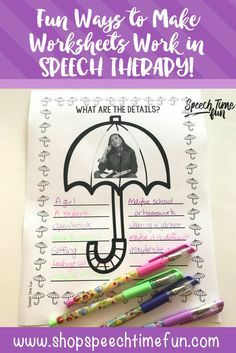 Well, today is your lucky day!! 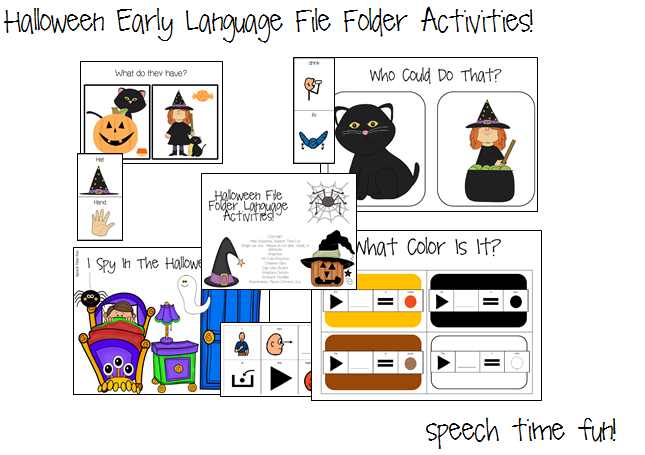 Have fun working on early language with a Halloween theme! 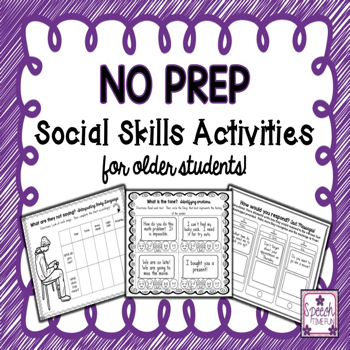 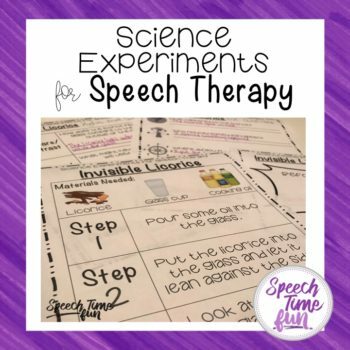 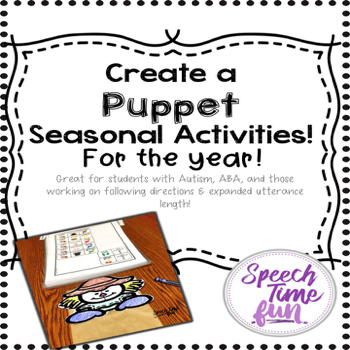 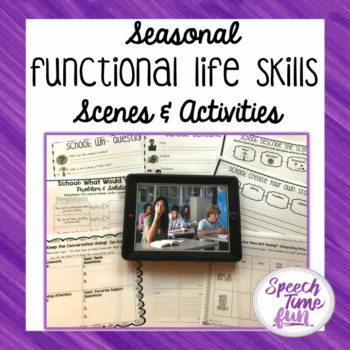 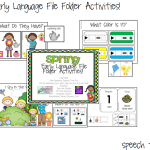 All of the activities included can be used as sorting activities, file folder sorts, or adapted easily to fit your students’ needs. 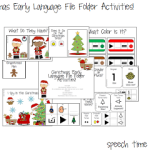 **Tons of visuals and sentence strips provided! 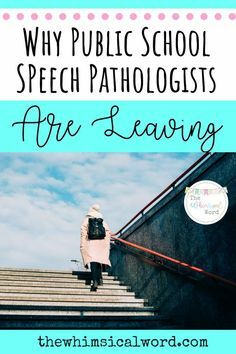 -What Do They Have? 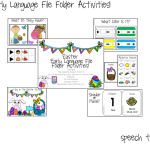 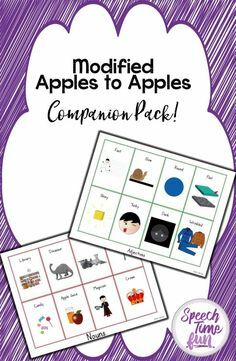 : This activity can be used as a file folder activity. 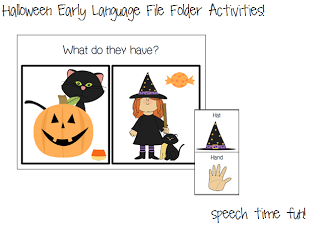 Print and glue onto a file folder the two images (jack-o-lantern and witch). 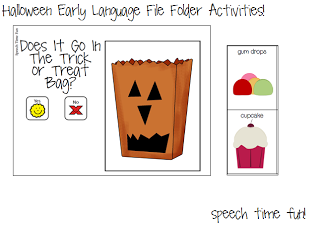 For each item card, students must use the sentence strips provided to express which Halloween creature has the item. This activity can also be used to work on “who” questions, pronouns, and possessives. -I Spy In The Halloween Scene: Print the Halloween scene picture. 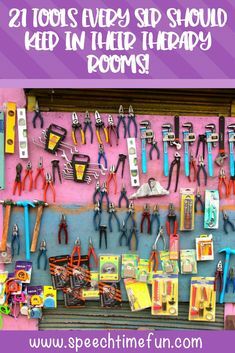 Students can use the visual to locate all of the named objects. 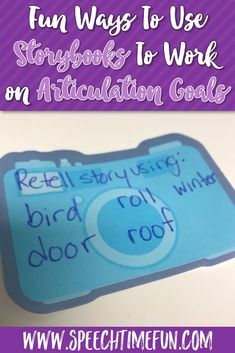 Goals to address: prepositions, answering “where” questions, describing, and using vocabulary in sentences. 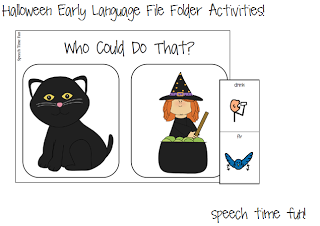 -Who Could Do That? 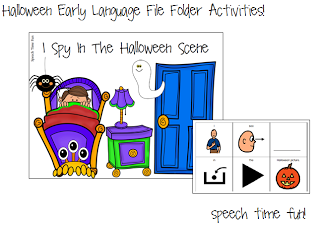 : Students must determine which actions the Halloween creatures could and could not do. 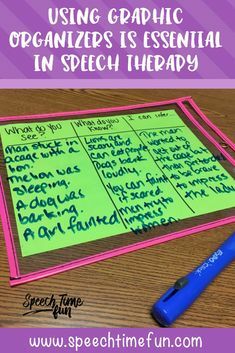 They must answer the use sentence strip to express complete utterances. 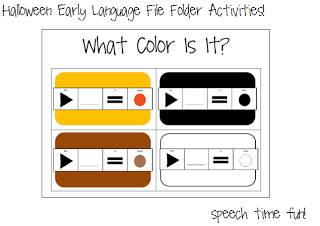 -What Color Is It? 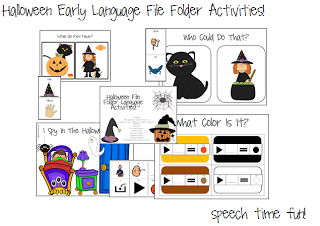 : Students will sort the Halloween items into the correct color category. 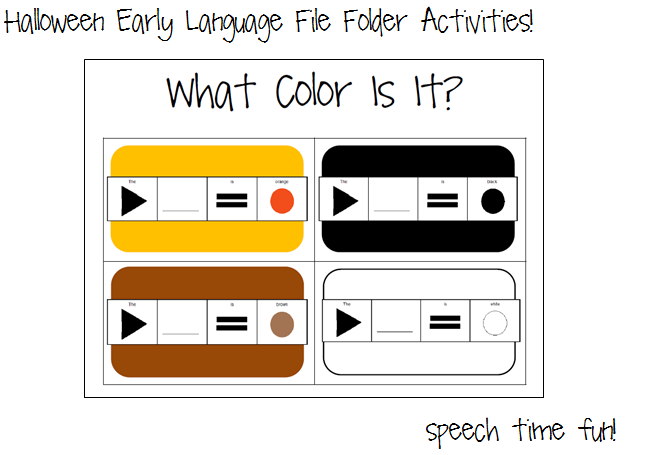 Each color has a sentence strip to encourage students to use expanded utterances as they express the colors. -Singular vs. Plural: Students will sort the images into the correct category, singular or plural. 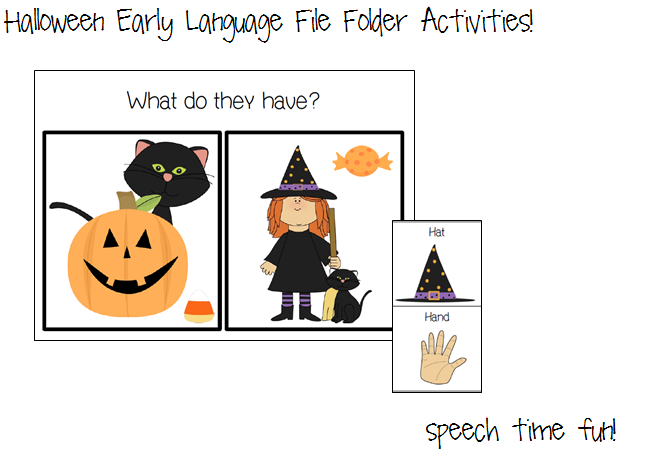 They will use the sentence strips to express what they see. 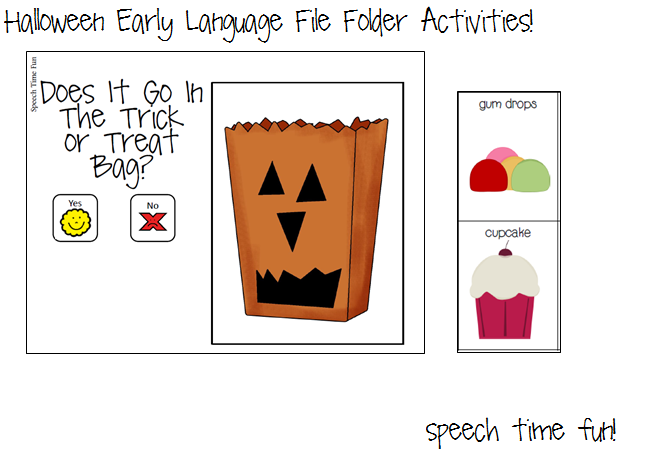 -Does It Go In The Trick or Treat Bag? 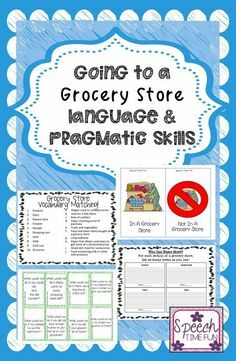 : Students must determine which items go in the bag and those that do not. 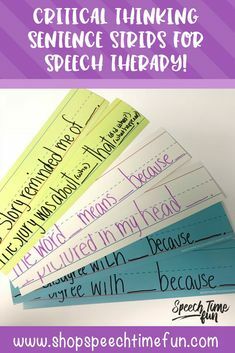 They must answer the yes/no question provided and use the sentence strip to express complete utterances. 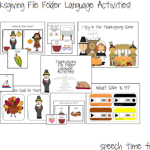 Thanksgiving File Folder Language Activities! 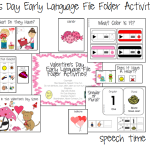 Spring Early Language File Folder Activities!